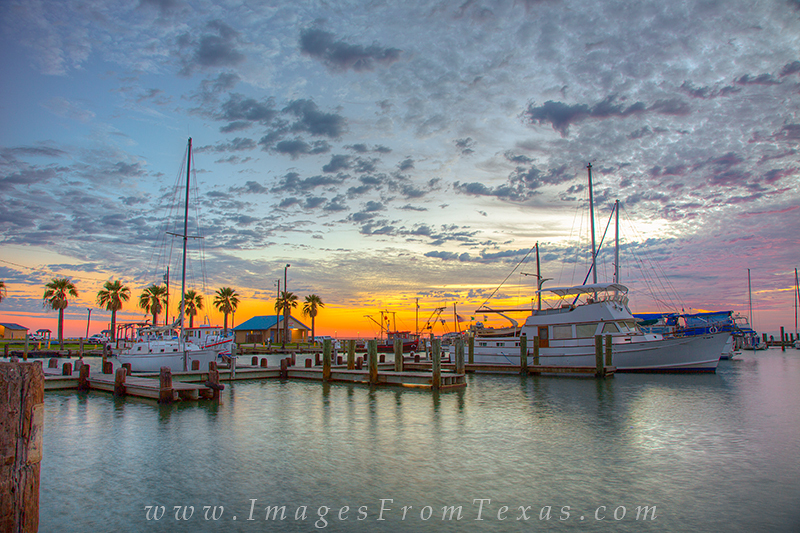 The harbor at Rockport-Fulton, Texas, is a great place to photograph in the early morning. Shrimpboats, Seagulls, sunrise, palm trees, and more await you if you are willing to get up before sunrise. Photo © copyright by Rob Greebon.